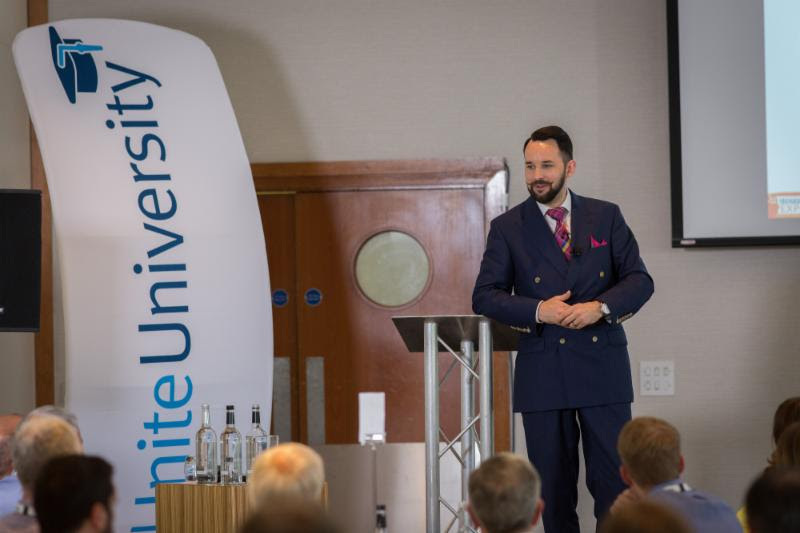 I just attended the Unitron Unite University in Manchester, it is my second time to attend the event and it is one I thoroughly enjoy. The events are outstanding, two days of learning focused on securing and growing your hearing healthcare practice and no one talks about hearing aids. It is one of the elements that Unitron is committed to providing to support the Independent sector. For those who have never attended, I would say that you are missing out on a valuable experience. Let me give you a rundown on what occurred. Karen has just taken over the reins of Unitron UK from Phil Stores, she has been in the industry for over ten years with Sonova and brings valuable skills and experience to Unitron UK. It was obvious from her opening speech that she has quickly realised what makes Unitron and its customers slightly different. She spoke about the different culture in Unitron and the sense of community that the business shares with its customers. She also said that it was clear to her that being a Unitron customer is to be part of a community, being part of a like-minded group, a group that is willing to share experiences, good and bad. I have said elsewhere that It was obvious from what Karen said, that she really understood this, that she has been quick to understand the dynamic that is Unitron as a culture. More importantly to understand the culture of being a Unitron customer. I have always had a sneaking respect for Karen over the years and this was just more evidence that she is a very smart lady. I expect great things from her and Unitron in the coming years. As someone who has worked for a manufacturer, it is interesting to see what Unitron are doing with their technology elements. They have introduced tech elements that are dedicated to supporting their customers. In the case of the UK, supporting Independent hearing healthcare providers. Every manufacturer gives support, like marketing support, advice, marketing. Unitron is the only manufacturer that has introduced actual technology elements that support the Independent and allow them to differentiate themselves. The Flex trial system, Log it all and Patient insights are elements that allow you to change your processes, business model and how you engage with a customer or a prospect. In fact, if you adopt these technology elements whole heartedly it actually changes how you provide hearing aids entirely. I want to investigate this further in another article because I think that to fully utilise these tools you really need a good strategy and the right terms of reference. After Karen's welcome, we were treated to the experience that is Jez Rose. Jez Rose is quite an extraordinary presenter who delivers outstanding education in an engaging and memorable way. It is exactly because of this delivery style that his message is so memorable. 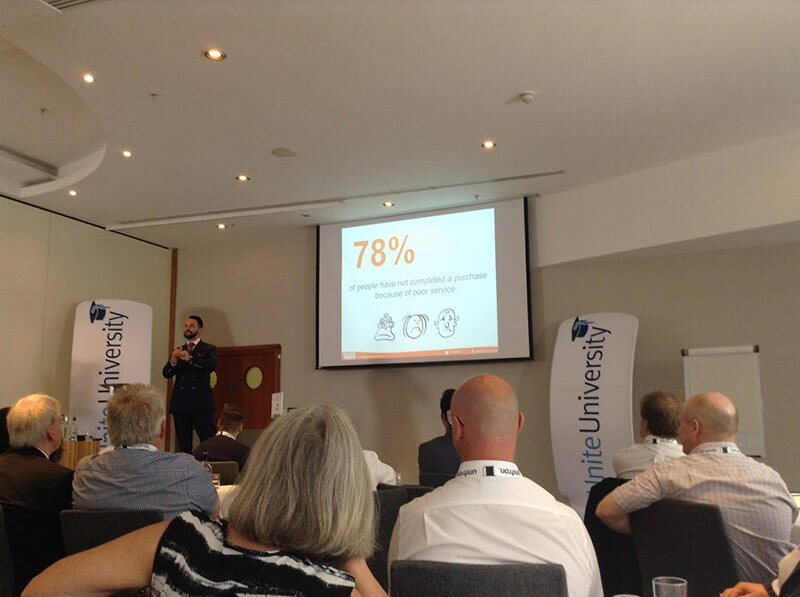 Jez introduced us to the latest knowledge on customer service, he spoke about the latest stats from different studies giving us a flavour of how important customer service is. He explained how customers are turning to social media and the online world to complain when they have bad experiences. This amplifies their complaint far beyond the norm and is something that we need to be aware of and manage. I have spoken before about this point in an article a couple of years ago about reputation management. You need to be monitoring both social media and the online world for mentions of your brand. This will allow you to react to these mentions. Back to customers and their changing ways. "17% of customers will leave a business after the first mistake"
Thats one mistake that could cost you nearly a fifth of customers. "40% of customers will leave a business after the second mistake"
"28% of customers will leave a business after the third mistake"
In all, 85% of future business can be lost by poor customer service. It has also been found that up to 59% of customers will switch brands if they feel that customer service is not good. 78% of customers surveyed have not completed a purchase if they feel that service is poor. In essence, all of the data shows that modern customers want to feel valued, respected and wanted. Jez spoke about a business striving to be in a category of one, that is delivering service levels and customer care like no other, hence being in a category of one. This type of strategy will pay off in the long term, another fascinating stat that proves the concept is that 73% of customers will spend more money with a business because of a history of good service. My own thoughts are clear, service is a value proposition on its own. However, everyone talks about service, so in order for us to use it as a value proposition, we also need to proof the concept. 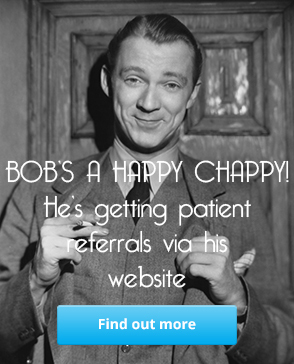 If we tie social proof (testimonials in all shapes and forms) to our value proposition we can proof it. That is for another article. Jez then got the whole audience involved, making ninety odd professionals vocalise their own thoughts about what good customer service was to them. He went beyond that and challenged everyone to assess their own performance, their own delivery of customer service and consider it under three headings. This exercise was outstanding, and again it was a clear representation of the culture that is being a Unitron customer. Even though the 90 odd people in the room could be considered Competitors, not one of them was unwilling to share their tips, failures and advice. It is this culture that makes the Unitron Unite University such a great learning experience. No one is afraid to share knowledge of things that work, and more importantly don't. The rest of the two days was packed with just as much learning on different aspects of business development, from changing your consultation to how you should manage and utilise social media. I will not explain it all, however, I will embed my storify articles of the two days and it will give you a flavour. I would like to thank Unitron for inviting me to experience the Unite University again. It is a valuable experience and I would encourage anyone to take the opportunity to go if they get it.